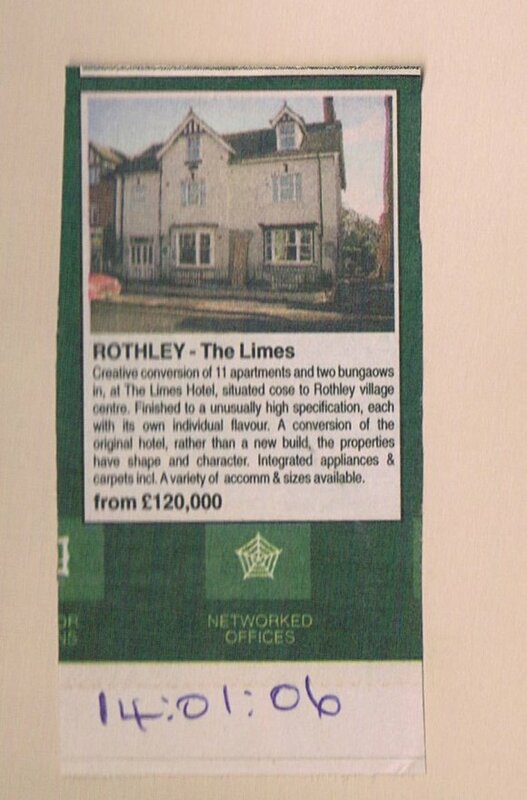 The Limes was built in 1906 as a private house and there is a stone plaque above the central first floor window. For some period up to 1969 it was the surgery of Dr. McQueen with his consulting room being in one of the front rooms. 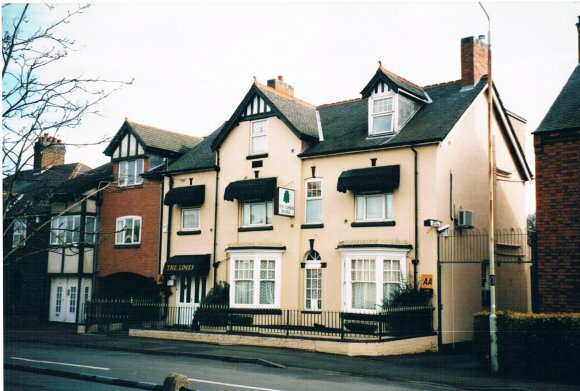 It was bought in 1969 as business premises and called The Rothley Guest House and owned by John and Gladys Buckingham. It was open to non-residents. 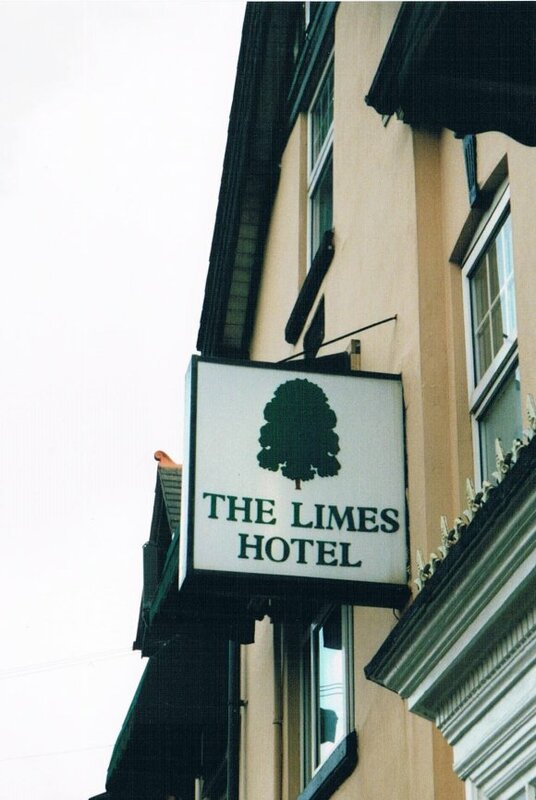 They retired in 1983 and it was then refurbished and called The Limes Hotel and residential only. March 2002. The hotel entrance to the left. 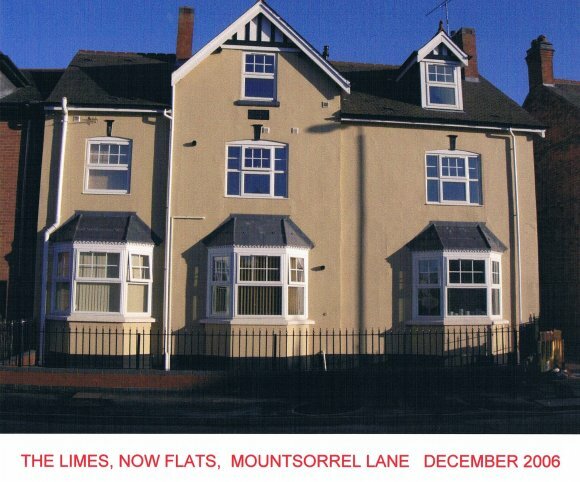 The Limes Plaque was painted black below the gable window. XHTML 1.0 validated. WCAG compliant. Page generated in 0.1075 seconds.